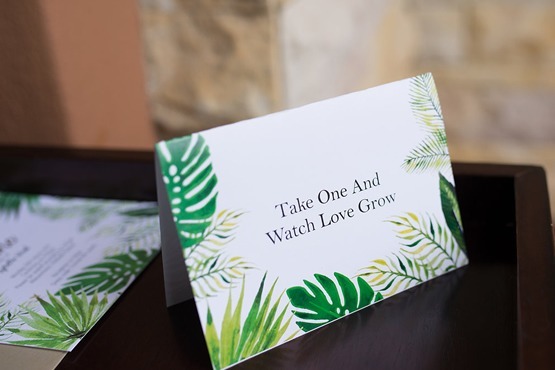 Inspired by breezy palm trees, and long summer days these idyllic wedding invitations and menus just make you want to run off for a perfect romantic getaway. We were asked to bring something fresh and fun for this magazine-styled shoot and I think these turned out so nicely. 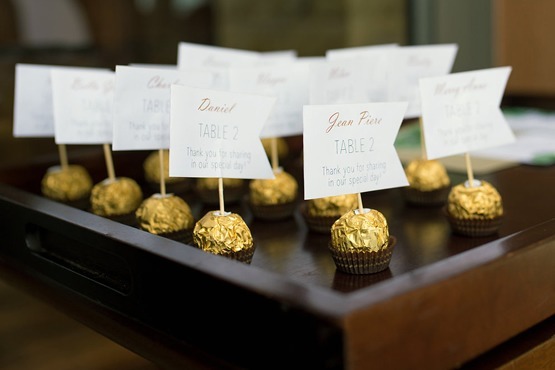 The menu cards were digitally printed with vivid green palm tree leaves and each table had cut out table numbers that were inserted into Ferrero Rocher chocolates that doubled as their base. 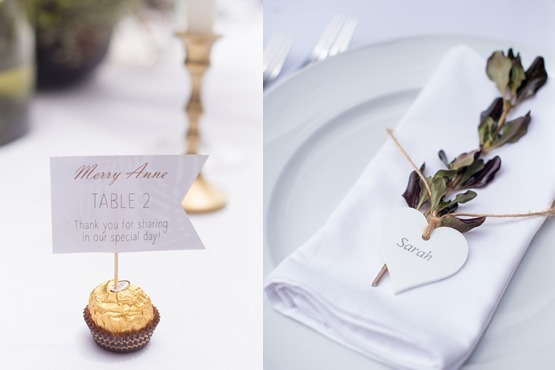 Larger table numbers were printed with the same palm tree pattern, lasercut out and placed at the center of each table. 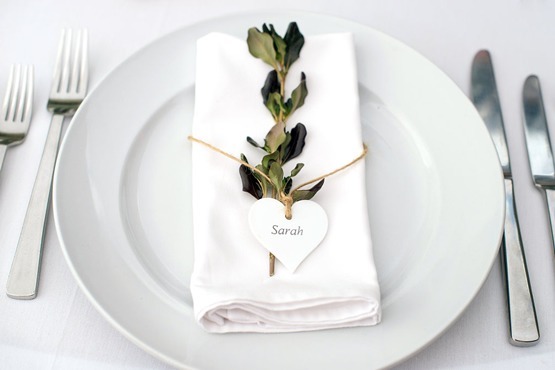 Every guest has their name personalised on a laser cut heart and banded together with some organic flower around their napkin. To finish it off the gift card was digitally printed once again with the green palm leaf pattern and added to a small bag that contained some seeds for planting.